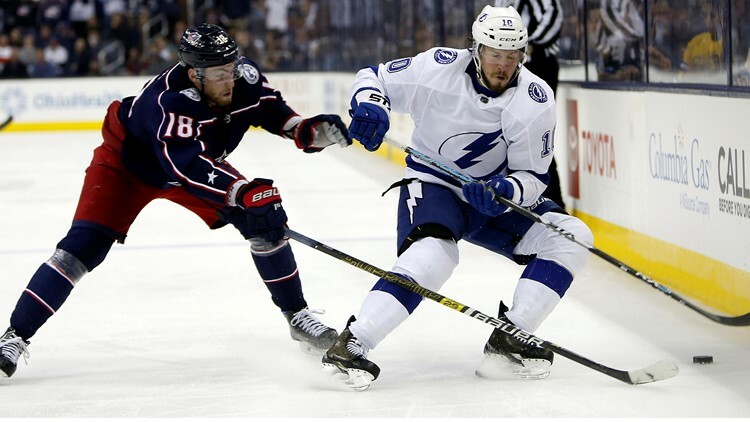 The Tampa Bay Lightning got swept by the Columbus Blue Jackets in the first round of the Stanley Cup Playoffs. The Blue Jackets capped the sweep with a 7-3 win Tuesday night. Tampa Bay tied the 1995-1996 Detroit Red Wings’ record with 62 wins in a season. The Lightning amassed 128 points, fourth in NHL history. The team finished the 2018-2019 regular season with a 62-16-4 record. Setting a league record for regular season wins is exciting, but it doesn’t lead to postseason success. None of the record holders for the four North American sports leagues – MLB, NBA and NHL – have gone on to win the title. Some have the belief that the President’s Trophy carries a curse -- the team that wins this trophy does not go on to win the Stanley Cup. The past five Presidents’ Trophy winners have failed to win the Stanley Cup that same season. The 2012-2013 Chicago Blackhawks were the last team to win the Stanley Cup after winning the Presidents' Trophy. Only eight of the Presidents’ Trophy-winning teams have won the Stanley Cup. Three other teams have gone on to the Stanley Cup Finals but failed to win the title. Click or tap here to see how Presidents’ Trophy-winning teams have fared in the playoffs. The Lightning is the first team in NHL history to win the Presidents’ Trophy and get swept in the first round of a best-of-seven playoff series. The Lightning entered the Stanley Cup Playoffs as the heavy favorite to win a title. Before the start of the playoffs, Oddshark listed the Lightning as the overwhelming favorites to win the Stanley Cup this year at +200. It means a bettor would have to wager $100 to earn a $200 profit (payout of $300 total) if the Lightning had won the Stanley Cup. The Calgary Flames were the next favorite to win the Stanley Cup before the playoffs began at +900. The Blue Jackets had 40-to-1 odds to sweep the Lightning at the start of the first round of the Stanley Cup Playoffs. It means a $100 wager for the Blue Jackets to sweep the Lightning would net a $4,000 profit for a total payout of $4,100. The Columbus Blue Jackets were the only active team in the four North American sports leagues not to have won either a playoff series (MLB, NBA and NHL) or a playoff game (NFL). That changed in the team’s sweep of the Lightning.